It’s generally believed that it’s far too difficult to beat an optimizing C compiler when producing code, at least for a simple problem. In this post we will see how that’s not true and simple “hand-optimized” code can get large improvements in some cases. Obviously that doesn’t mean that we should program using intrinsics or assembly most of the time: it still took me far more time to write this code than the time required to compile a C file with optimizations. But it means that, if we are working in a piece of time-critical code and profiling shows us a “hot spot”, it’s reasonable to consider doing such an optimization. The measured time to count bytes with a given value in a ~100 MB array is about 100 ms, giving us a processing speed of approximately 1 GB/s. There are no substantial caching effects, as expected given that we are processing a 100 MB array. Now we know that bandwidths of ~14 GB/s are achievable in this system, so there should be plenty of room for improving performance. The new speeds are between 8 and 9 GB/s, almost an order of magnitude faster than the “naive” code. As this is my first program using intrinsics, it’s probably far from optimal. But, as it can seem pretty impenetrable, let’s explain it step by step. nb: we will process the input in blocks of 16 bytes (128 bits), so we use this variable to track the number of blocks to be processed. count: the return value, to be filled with the byte count to be computed. ct: the comparison target, a 128 bit value filled with copies of c, the byte value we are counting. z: a zero 128 bit value. acr: the accumulated comparison result, a 128 bit value that accumulates the comparison results in a special format, to be described later. Only one intrinsic is used here, _mm_set1_epi32(). It loads repeated copies of a 32 bit value in a 128 bit value. The loop is self explanatory: we are just iterating over 128 bit blocks. The next intrinsic, _mm_lddqu_si128() just loads a potentially unaligned 128 bit value into the 128 bit variable b. Now comes the key section: we compare b byte per byte against the comparison target ct, using the intrinsic _mm_cmpeq_epi8(), and we store 0xff when the bytes match and 0x00 when they don’t in the comparison result cr. That result is summed byte per byte in the accumulated counts variable acr, with the intrinsic _mm_add_epi8(). As 0xff is -1 modulo 256, the accumulation works normally, but we could have an overflow after 256 iterations. To avoid that, we need to move this counts to our count variable periodically. Change the sign of acr by subtracting it from zero to get the positive values of the counts (using the _mm_sub_epi8() intrinsic). Get the absolute value of each byte and sum all these values to get the total count (using the _mm_sad_epu8() intrinsic, that leaves the sum split in the low and high parts of the 128 bit variable). Sum the low and high parts of the 128 bit variable to count, to get the total count, using the _mm_extract_epi64() intrinsic to get those parts. Set the accumulated comparison result acr variable to zero. Accumulates the value that remains in acr after exiting the main loop. Handles the bytes that come after the last 16 byte block and returns the total count. The code used for these tests is available in Github. One interesting consequence of C having non-pure functions is that every function you call can be accessing your local variables if pointers to them “escape”. Once a pointer to a variable has escaped, the optimizer has to assume that it’s part of the global state and every function call could be modifying it. 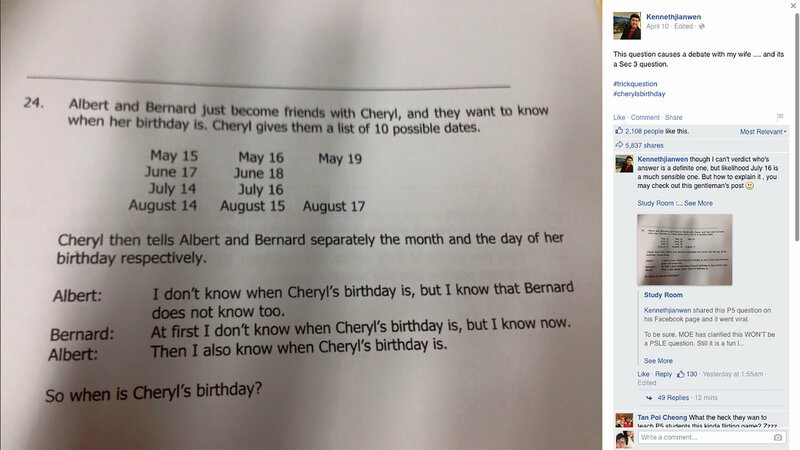 and used to calculate the number of elements in an array. ASIZE() accepts pointers, producing invalid results. ASIZE_SAFE() only accepts arrays (try uncommenting). It works in a relatively straightforward way, though I have put the details in a gist to avoid spoiling them. In a previous post we have asked how many NOTs are needed to compute an arbitrary Boolean function. In this post we will see that only two NOT gates are enough. Detects when no more than one input is active. Detects when zero or two inputs are active. 0 inputs present: we can check that by simultaneously ensuring that we don’t have more than one input present and that we have either zero or two inputs present, . 1 input present: we should have no more than one input present and or should be present, . 2 inputs present: we can check that by simultaneously ensuring that either zero or two inputs are present and that and are present, . Computing NOT X (the other cases are symmetrical). 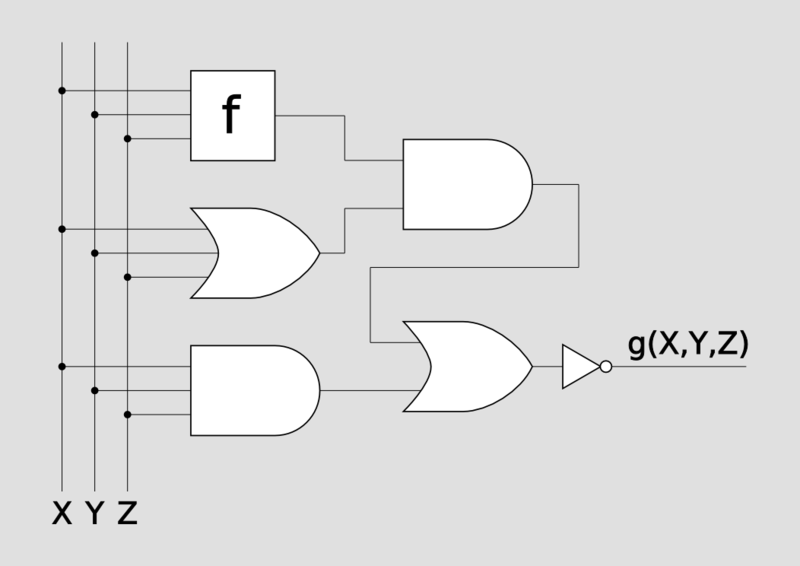 As this technique allows us to expand two NOT gates to three and it can be applied repeatedly, we can compute an arbitrary Boolean function with a circuit containing only two NOT gates. In a following post we will see how I arrived to the solution by using brute force. How many NOTs are needed? It’s relatively easy to see that we cannot compute an arbitrary Boolean function using only AND and OR gates. 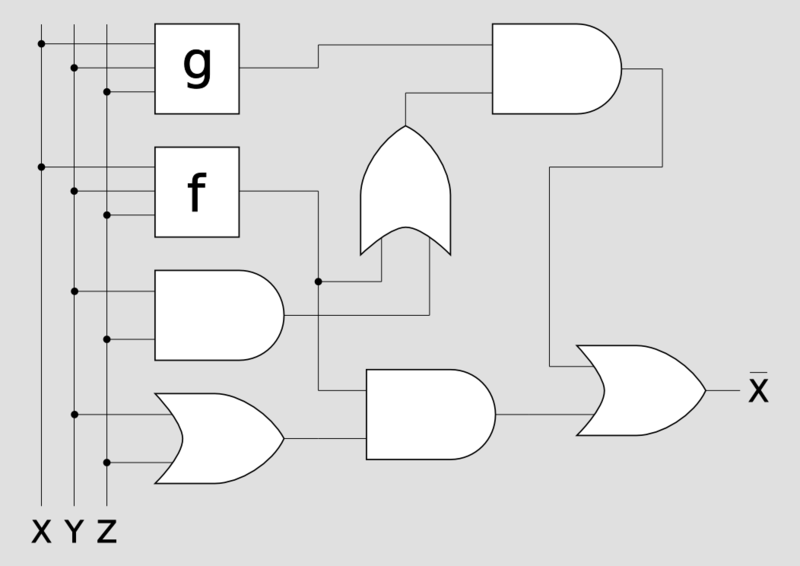 For example, even the NOT function cannot be computed using only those gates (why?). 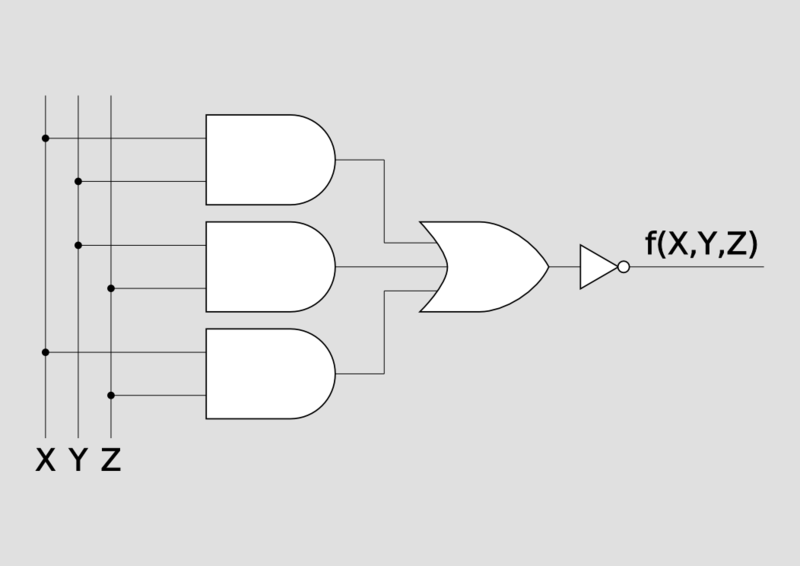 Can we build a circuit to compute an arbitrary Boolean function using a constant number of NOT gates?